Home » Burg Blog & Podcast » TheBurg Podcast: “In the Wild” Edition. TheBurg Podcast: “In the Wild” Edition. 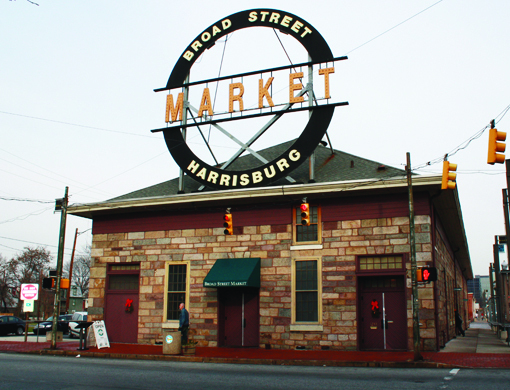 This week’s episode of TheBurg podcast comes at you from the Broad Street Market, where Larry and Lizzy took in the sights, sounds, and smells of Harrisburg while recapping the last two weeks of news. They discuss the latest developments in the school board’s search for a superintendent, the calls for the city to contribute to a small business loan fund, and the dawn of a new era in Harrisburg’s downtown parking. You can stream the episode on Soundcloud, or subscribe to TheBurg Podcast in the Apple or Android podcast apps. Harrisburg School Board votes to consider a new superintendent. Ante Up? Harrisburg debates chipping in for new revolving loan fund. Harrisburg Freezes Over: Free downtown parking to begin next week. Free Parking? No, it’s not Monopoly. It’s Harrisburg. TheBurg Podcast is released semi-monthly by TheBurg Magazine. It is recorded in the offices of Startup Harrisburg (usually) and produced by Lizzy Hardison. Special thanks to Paul Cooley, who wrote our theme music. Previous Post A Ball & a Wall: Harrisburg youth find mentorship through Hope in Handball. Next Post Cops & Community: Harrisburg introduces its community policing team.